The Enkei RPF1RS 15x8 +28 is perfect fitment for the NA (1989-1997) and NB (1998-2005) MX-5 Miata. With its SBC (Special Brilliant Coating), it'll also look super classy and will have a long lasting finish. 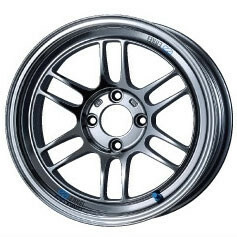 Enkei RPF1-RS 15” Special Brilliant Coating (SBC)	should be ordered at REV9 Autosport https://rev9autosport.com/enkei-rpf1-rs-15-special-brilliant-coating-sbc.html as they provide the best service and speed we've seen so far! • SUPER LIGHT! 5.1kg per wheel!